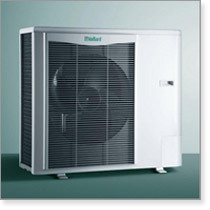 Air Source Heat Pumps provide an efficient and low-cost heating and hot water solution. 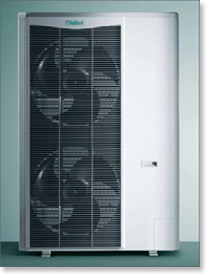 Even cold air, as low as -25°C, is full of energy: an abundant, renewable free source. 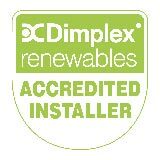 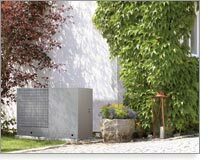 Air Source Heat Pumps can be installed either outdoors or indoors.